NVMdurance, with its unique approach to characterizing flash memory devices, has launched NVMdurance Aviator, a new product which complements their existing Navigator and Pathfinder products that enables deployment of 3D NAND flash in the most challenging applications. NAND flash memory is used in many applications, including SSDs, mobile phones, tablets, USB drives and memory cards. 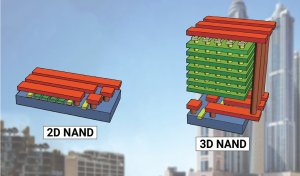 Manufacturers and users of NAND are looking to transition to a new type of flash memory, called 3D NAND, which can provide cost and performance advantages over the incumbent 2D NAND flash. Compared to 2D NAND, 3D NAND provides higher capacities, better performance and promises lower cost per gigabyte. As a result, 3D NAND is expected to accelerate the displacement of other forms of storage, such as hard disk drives (HDDs), in many applications. However, there are many challenges for getting to market with 3D NAND solutions. Replacing 2D NAND with 3D NAND is not a simple exercise. One of the biggest challenges has to do with the deployment of advanced ECC (Error Correction Code) that is required in order to read and correct data from the flash memory. For example, many controllers that support 3D NAND are using an advanced ECC scheme called LDPC (Low-Density Parity Check). Besides being dependent on the flash memory technology being utilized, these advanced error management methodologies also depend on the end-customer’s specific usage conditions. Many components of a robust error correction solution are very challenging to develop, for example, LLR (Log-Likelihood Ratio) tables, because they require the ability to deeply characterize the flash memory technology and translate the characterization data into application-specific solutions. 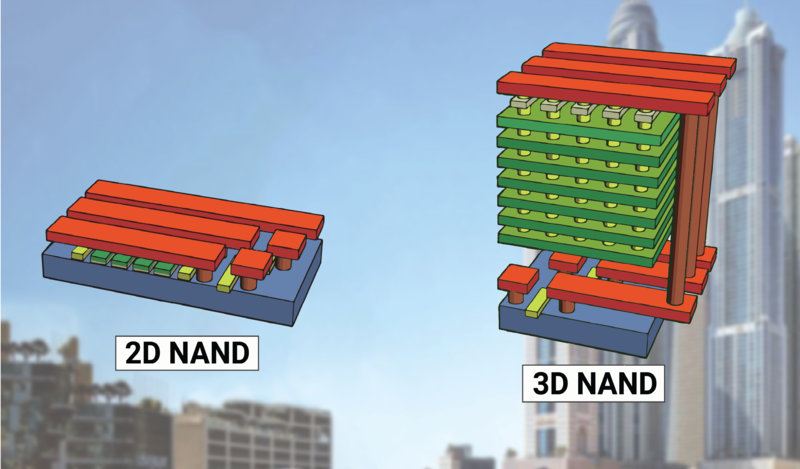 Today, 3D NAND characterization is a very manual process that requires large teams with deep flash expertise. The high-performance and high-reliability requirements of datacenter and enterprise applications compound the problem, as does the desire to deploy 3D Triple-Level Cell (TLC) NAND in these applications. NVMdurance Aviator uses NVMdurance’s proprietary machine learning technology to automate the process of characterizing 3D NAND and provide the critical error management building blocks that require deep flash characterization and the ability to optimize around customer usage conditions. NVMdurance Aviator can also help solution providers get to market faster and differentiate their products. NVMdurance is initially offering Aviator which works with Micron’s first generation 3D TLC NAND. More information on NVMdurance Aviator and the problems it solves can be found here. NVMdurance uses its proprietary machine learning technology to provide tools for the NAND flash ecosystem, from flash and controller suppliers to adopters of flash, including SSD and all-flash array solution providers. These tools provide our customers with a time-to-market advantage, enable optimization around customer-specific usage conditions, and allow them to differentiate their products. NVMdurance has the world’s only automated method for characterizing flash memory using our patented machine learning technology. Our Aviator software enables suppliers and adopters of flash to improve reliability, accelerate deployment of new flash solutions, differentiate products, and optimize around customer usage conditions.